Now that Kate goes to school for an extra hour, my mornings have become more productive. Previously, she was in school for 3 hours and I barely had enough time to commute, do what I needed to do, and rush back to pick her on time. Now, I drop her off at 8.30am and get to enjoy a proper breakfast with my mummy friends or have casual meetings over breakfast for the new projects I'm working on. 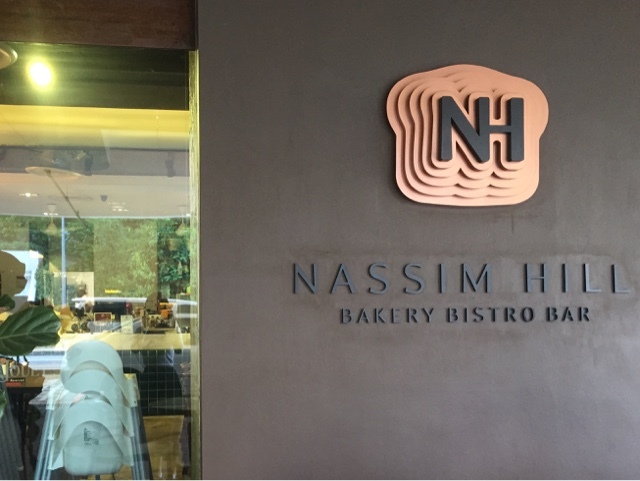 I've been meaning to try this cafe for quite a while now as it opens early at 8am and is conveniently located at Tanglin road. 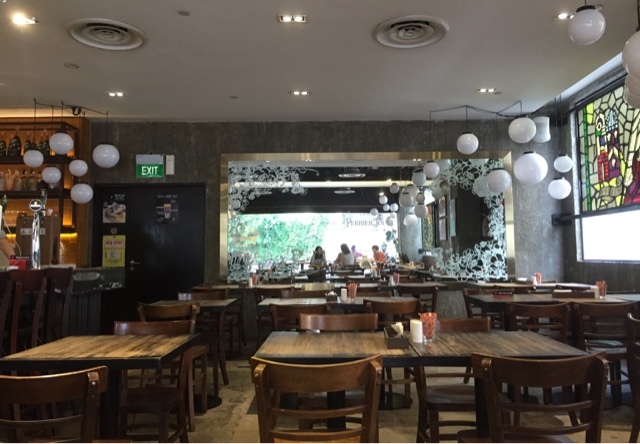 I brought #1 along to my breakfast meeting as she is on term break and she remembers this place as the 'treehouse cafe' which they loved going to when they were younger. 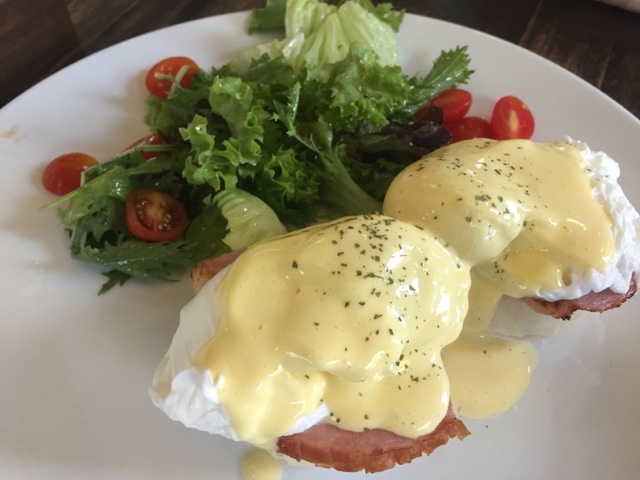 They have a wide selection of egg items on their menu and it is good to know that they use antibiotic and hormone-free eggs. Our food came fast and their presentation is good and portions generous. 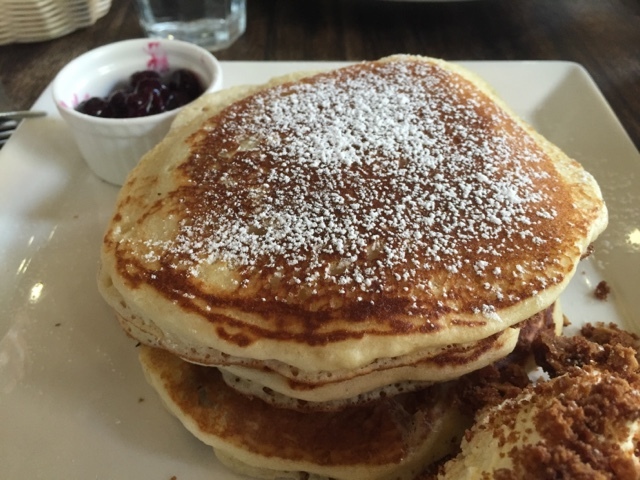 Somehow though, I expected the pancakes to be fluffier. 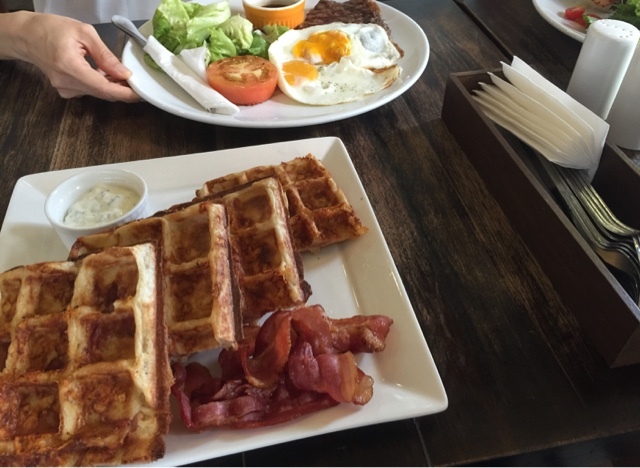 #1 was adventurous and went for the Cheddar cheese waffles, but found the cheese flavour a little too overwhelming. 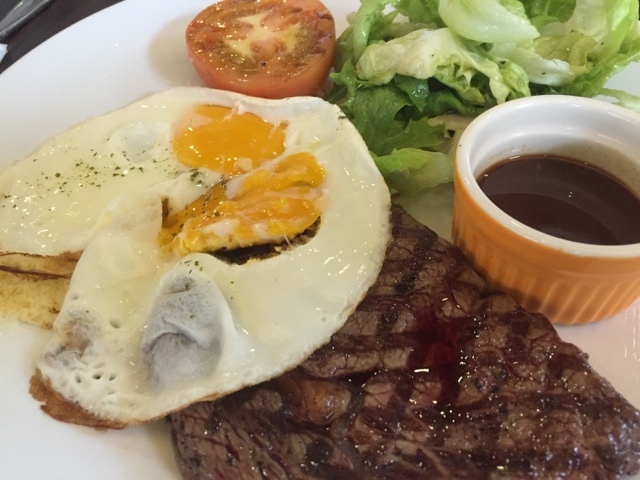 Their steak and eggs plate is what I call a hearty breakfast to start the day! Brings to mind my late aunt who used to advice us to "Breakfast like a King, lunch like a Prince and dine like a pauper". It was nice and quiet when we arrived at 9am and the crowd picked up just before lunch. I've found an unpretentious cafe to add to the list of 'after school-drop-off breakfast options'.